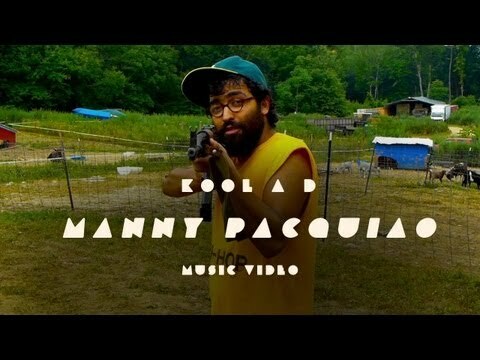 Video: Kool A.D. - "Manny Pacquiao"
While we in America are getting serious with the election today, Kool A.D. of Das Racist provided us with a light-hearten and fun new visual for his track "Manny Pacquiao." This song is off his 51 album that came out a few weeks back and shows the emcee having some fun at a farm and pool. Typically with rap videos, farm might not come to mind as something fun, but Kool A.D. isn't like all the others and makes this a great change for rap videos. There is more silliness to be had, but you can watch and see it all.